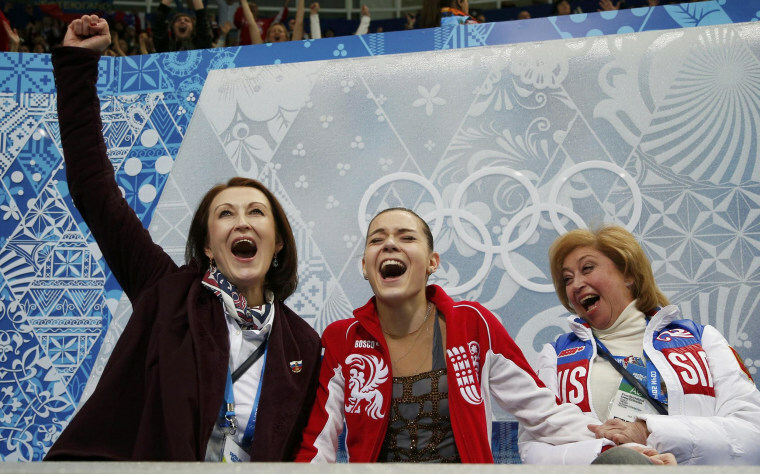 Russia's Adelina Sotnikova reacts with her choreographer Irina Tagaeva, left, and her coach Elena Buyanova, right, in the "kiss and cry" area during the figure skating women's free skating program at the Sochi 2014 Winter Olympics on Thursday. Sotnikova won gold and beat out Team USA hopefuls Ashley Wagner, Gracie Gold and Polina Edmunds. Yuna Kim of South Korea earned the silver medal and Italy's Carolina Kostner took bronze in an emotional performance.